Sophomore Eric Beshears shoots a free throw. Time is ticking on the clock and the crowd is going wild. The score is so tight that one basket can make the difference. The boys push to win that last shot and the game, hoping to keep their season in line for a shot at the playoffs. The basketball boys have had an exciting season so far, pulling in a winning record. As they moved into the second round of district, the boys are 15-5 overall and 5-2 in district. 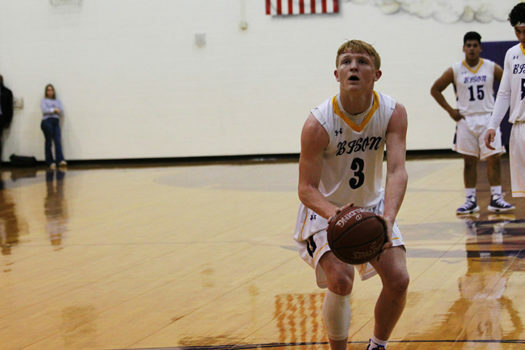 The district opener game was held at Crockett, with the Bison taking the victory win against the Bulldogs with a close score of 64-61. The team continued to pull in Ws as the season progressed. The losses have been tight, with the team staying close until the final buzzer.